There are currently 85,537 users on this website. I just received an unexpected gift from the RCM today. 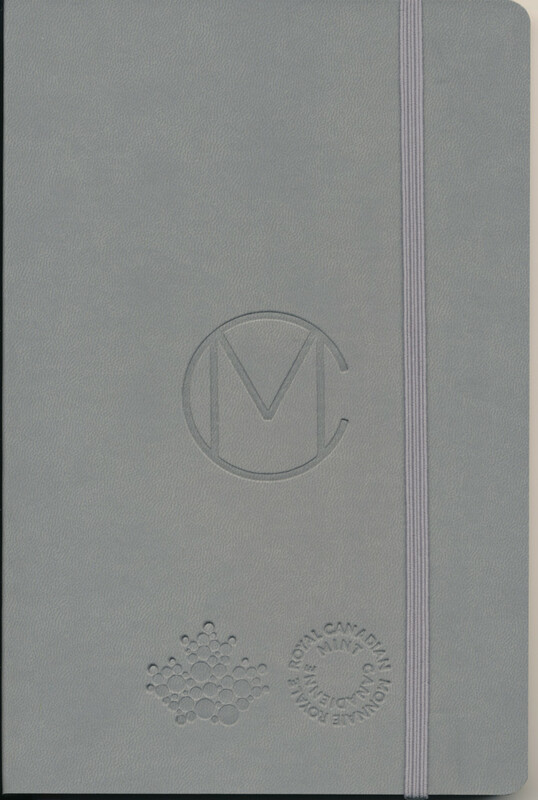 A really nice leather notebook, a quality pen with with a thankyou note. "You have been a valued customer for 20+ years..." well... actually 42+ years but who's counting. 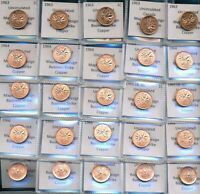 Newly listed items on eBay by canadian_coins. 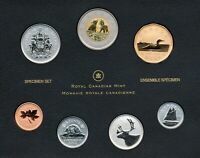 View all canadian_coins's items on eBay. Guess this never worked out for you. That is awesome. 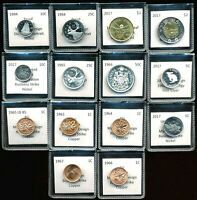 You will never see the US Mint giving anything for free. Actually I don't think the US Mint appreciates their customers anyway. Well, that's sweet of them. Congratulations for 20 years and gift! Could you please tell, what is this (the gift)? I not sure, am I too old or in opposite too young for this, but I can't understand, what is the item on the picture. I received a notebook and a pen. 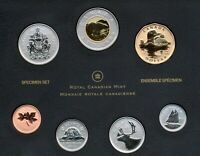 Thank you, Canadian_coins, for explain. Congrats again for the gift. Absolutely liked the picture of the Notebook with some Halves and Toronto SD on the background. Received a Christmas card from my rep today. I wonder what the criteria is for getting the pen/notebook gift. 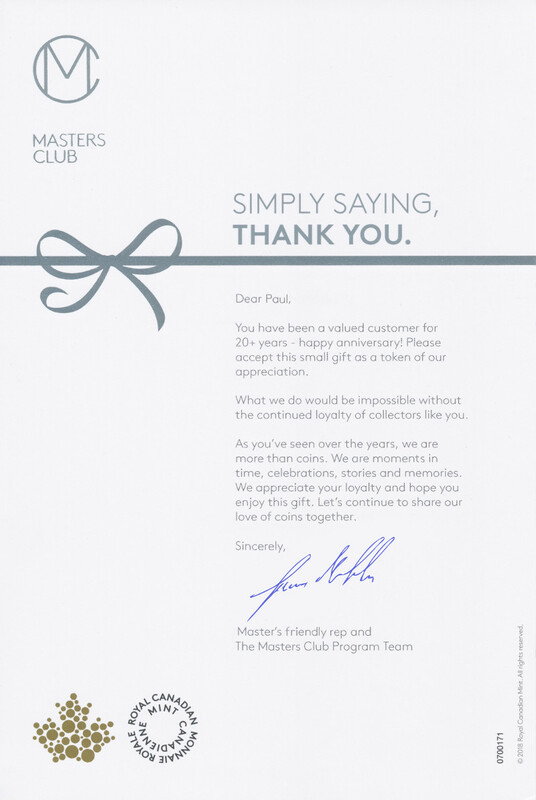 Years in the Master Club program or amount of money spent? Can't be money. Spent tens of thousands over the last few years and all I got is a measly Christmas card. Anyone else got the free pen/notebook? I don't know what the threshold is... I spent much less for the past 4-5 years. Maybe $1,000 per year on average... ? More like almost nothing this year. Maybe it's 20+ years member?